Discussion in 'Motorsport' started by GTPNewsWire, Mar 27, 2019. This article was published by Kyle Patrick (@SlipZtrEm) on March 27th, 2019 in the Motorsports category. JoueurGT and kalakanto like this. Here in Germany, there has been a huge hype in the mainstream media about Mick. It started many years ago and i never understood why that mainstream media ignored important events like Le Mans and focussed on a young boy instead who just started in Formula 4 back then. However, i think Mick was strong in Formula 3 last year, he showed that he is talented. But is he a supertalent like Max Verstappen? Not sure. He has to show how competitive he can be in F2 first. I wish Mick the very best of luck in his endevours. I was over the moon when I heard that Ferrari had taken him under their wing. I hope he does well in F2 and F1. Do it for Michael. I suppose it's neat, but if I were the son of someone like Michael Schumacher, I'd definitely go another route. Aiming for rally, sports cars, or something that isn't F1. 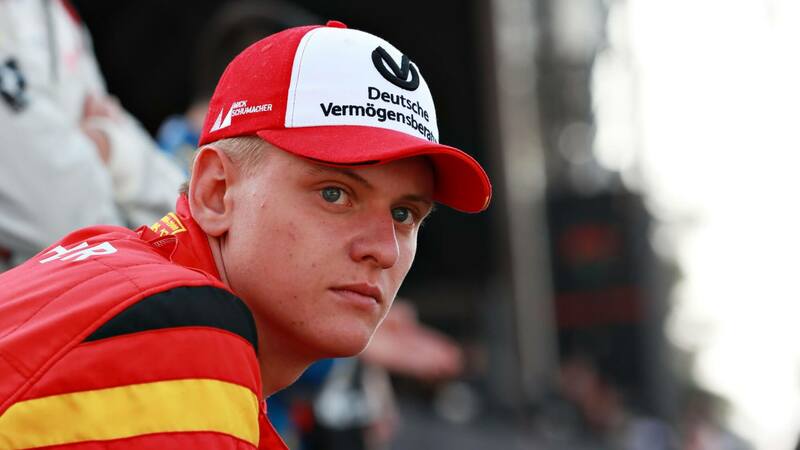 It's one thing if you're a Verstappen or someone with a semi-successful past driver, but being a Schumacher I feel like he'll be up against his father's legend every time he sits in that car. Then maybe he could say he's inspired by Ralf? Seriously, if you're raised in motorsport then surely you'd aim for the pinnacle? It's hard to imagine anyone saying they wouldn't try something because their dad was already good at it. Eh, just seen too many sons kind of wallow in the shadow of a legendary dad in stuff like Indy car, etc. On occasion they turn out to be superstars too, but it's pretty rare. I just don't think it can be mentally healthy...which is why I'd have suggested another route in motorsport. Go do your own thing, and set your own records. I mean, let's imagine Mick gets into F1...even on a good team. If he does nothing for 6-7 seasons and departs, it'd be sad to watch. I wish him the best in his career & hope he can drive as good as his father! Best of luck M8! In their respective disciplines, the Ascaris, Stucks, McRaes, Andrettis and Unsers have done quite well too. Dotini, Tired Tyres and TenEightyOne like this. I would've opposed this as a stunt 12 months ago but Mick was exceptional last year. Like money, the name gets his foot in the door but he has delivered with that opportunity so far.